Direct from France, join spinto soprano Paula Wilder-Gaubert, in a program of songs of nymphs, forest spirits, mermaids, water spirits, oceans, and rivers. Ms. Gaubert will be accompanied by Daniel Lockert on the piano. The recital consists of art songs by Poulenc, Debussy, Honegger, Prokofiev, Britten, Louis Vierne, and Finnish composer Toivo Kuula. Date & Time: Sunday October 18 at 7 p.m. The program title Violin, Seahorse & Mermaid is named after the Poulenc song ‘Paganini’ by Poulenc, which begins, ‘Violon, Hippocampe et Sirène.’ The main theme of the program is centered around water with songs about rain, sea, lakes, water-lilies, carp, mermaids, fish, and other aquatic beings, natural or otherwise. Paula Wilder-Gaubert’s opera performances have included Cio-cio-san in Madama Butterfly for Utah Lyric Opera; Agathe in Der Freischütz, Senta in Der Fliegender Holländer, and Manon in Manon Lescaut for West Bay Opera, Minnie in Fanciulla del West for Rimrock Opera (Billings, Montana) , Berkeley Opera, and Santa Barbara Opera; Leonora in Il trovatore in the Berlin Konzerthaus, with the Cottbuser Staatstheater orchestra ; Lady Macbeth in Verdi’s Macbeth for Berkeley Opera ; Tatyana in Eugene Onegin for North Bay Opera (Fairfield, California), and Hanna Glavari for Opera Fresca’s Merry Widow (Mendocino, California). Most recent symphonic appearances include Mahler’s Songs of a Wayfarer with the Symphony of the Redwoods (April 2008), Strauss’ Four Last Songs with the Palo Alto Philharmonic (February 2008), and Beethoven’s Ninth Symphony with the Auburn Symphony in the Mondavi Center (April 2007). 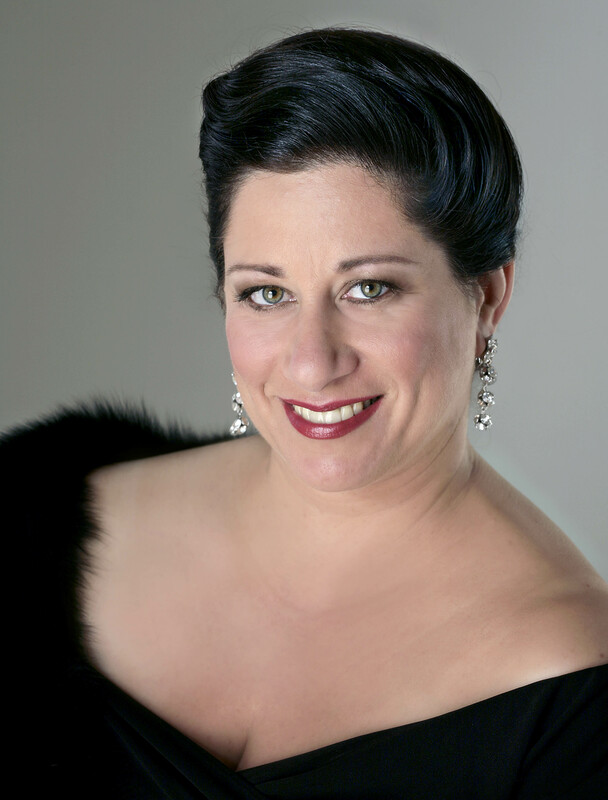 Ms. Wilder is also frequently featured as soloist at the Mendocino Music Festival where she has performed the Verdi Messa da Requiem, Brahms’ Deutsches Requiem, and Bernstein’s “Jeremiah” Symphony. For the Mendocino Music Festival she has also participated in many of Susan Waterfall’s chamber music events, performing: Ravel (Trois Chansons de Mallarmé), Stravinski (Three Japanese Songs), with chamber ochestra, and songs of Brahms, and Janacek. A native of Berkeley, Ms. Wilder holds bachelors and masters degrees in French Literature from UC Berkeley, and attended the San Francisco Conservatory of Music in Vocal Performance. Ms. Wilder now lives in Poitiers, France. For more details and additional sound clips click here. 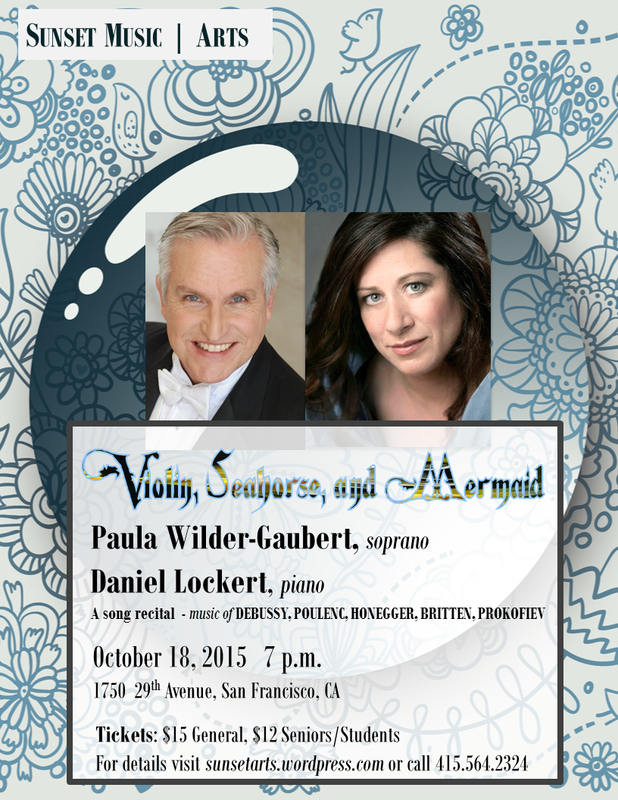 As a soloist or collaborator, Daniel Lockert is equally versatile on the piano, organ, and harpsichord. He is a native of San Diego, California, where he began piano studies at the age of five. He also studied organ throughout high school. After getting his Bachelor’s in Piano Performance from Loma Linda University, he attended the University of Southern California and obtained an advanced degree in the specialized area of accompanying, studying with Gwendolyn Koldofsky, the pioneer teacher of the field. Daniel was the only American finalist in the first International Accompanying Competition held in the Netherlands. As an accompanist, he has had an active career accompanying choral groups, singers and instrumentalists throughout the United States, Europe, Japan, Australia, and New Zealand. He has collaborated with singers past and present of the Metropolitan Opera, such as Deborah Voight, as well as current young recitalists, including Christopheren Nomura. As a coach and teacher, he has been on the staffs and faculties of the Juilliard School, the San Francisco Opera, Opera San Jose, the San Francisco Conservatory of Music, Chapman University, and the Aspen Music Festival. 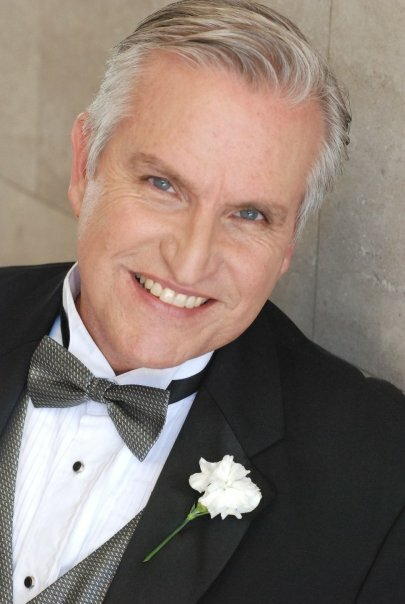 He is also active as a cabaret pianist and singer, having collaborated with many San Francisco bay area performers. In Los Angeles and New York, he musically directed I Do! I Do! and Fiddler on the Roof. He has been musical director and pianist for several musicals and reviews at the Marin Theatre Company and Willows Theatre, in evenings of music by Gershwin, Bernstein, and Sondheim. Sondheim’s Company, Into the Woods, Side by Side, and You’re Gonna Love Tomorrow are some of the musicals and reviews that he has conducted and directed at various Bay Area theatres. Daniel has been the musical director and pianist for the annual Great Broadway Sing-a-long held at the Marin Theatre Co, and four nights from now at the JCC of San Francisco in this same theatre. He was associate musical director for Mountain Days: the John Muir Musical and The Haunting of Winchester by Craig Bohmler, assisting the composer in their world premieres at the Concord Pavilion and the San Jose Repertory Theatre. He was also music director for Bohmler’s Enter the Guardsman, which was performed on the cruise ship QE2. After that, Daniel took another cruise on the QE2 to musically direct a Broadway review. Daniel has taught and coached students for special projects at the American Conservatory Theatre. As a harpsichordist and continuo player, Daniel played at the Carmel Bach Festival for several summers. He played the world premiere of the Concertino Notturno for Flute, Harpsichord and Strings by Vivian Fung with the San Jose Chamber Orchestra. As an organist, Daniel has played in churches and synagogues since age 12. For years he was organist at several prominent churches in Southern California. He is currently organist at Santa Maria Catholic Church in Orinda, and is an active organ recitalist in the Bay Area.